Pads are used to provide both mechanical mounting and electrical connections to the component pins. A pad is a primitive design object. Pads are used for fixing the component to the board, and to create the interconnection points from the component pins to the routing on the board. 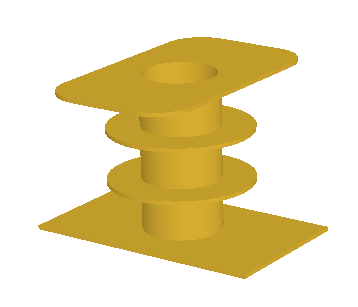 Pads can exist on a single layer, for example as a Surface Mount Device pad, or they can be a 3 dimensional through-hole pad, having a barrel-shaped body in the Z-plane (vertical), with a flat area on each (horizontal) copper layer. The barrel-shaped body of the pad is formed when the board is drilled and through-plated during fabrication. In the X and Y planes, pads can have a circular, rectangular, octagonal or rounded rectangular shape. Pads can be used individually as free pads in a design, or more typically, they are used in the PCB Library editor, where they are incorporated with other primitives into component footprints. After launching the command, the cursor will change to a crosshair and you will enter pad placement mode. Position the cursor and click or press Enter to place a pad. Continue placing further pads, or right-click or press Esc to exit placement mode. A pad will adopt a net name if it is placed over an object that is already connected to a net. Note that the attributes can be modified during placement, press Tab to bring up the Pad dialog. Changes made will affect the object being placed, and subsequent objects placed during the same editing session. Pads cannot have their properties modified graphically, other than their location. To move a free pad and also move the connected tracks, click, hold and move the pad. The connected routing will remain attached to the pad as it is moved. To move a free pad without moving the connected tracks, select the Tools | Arrange | Move Object command, then, click, hold and move the pad. If you click and drag a selection rectangle around component pads, they will not select as they are actually child objects of the component. To sub-select just the pads, hold Ctrl as you click and drag the selection window. This method of editing uses the Pad dialog to modify the properties of a pad object. Edit the properties of the Pad in the dialog. The hole can be round, square (punched), or a circular-ended slot. It can also be plated or unplated. Separate drill file (NC Drill Excellon format 2) are generated for each hole kind (Round, Square and Slot) as well as for plated and non-plated holes (as defined by the Plated checkbox). That means there can be up to six different drill files generated. Use the Hole Size Editor (a mode of the PCB panel) to examine and rationalize the hole sizes used in a completed PCB design. Each pad should be labeled with a designator, which is usually a component pin number. The designator can be up to 20 alphanumeric characters in length. Pad designators will auto-increment by 1 during placement if the initial pad has a designator ending with a numeric character. 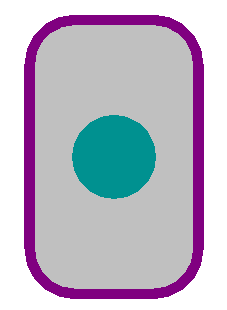 Press Tab to change the designator of the first pad prior to placement. Multiple pads can share the same designator, if required. The layer drop-down is used to select the layer that the pad is present on. When designing a surface mount component footprint, set the Layer to Top layer even if the component is intended to be used on the bottom side of the board. The software will automatically flip the pads' layer when the component is flipped to the bottom side of the board. For a standard, through-hole pad, set the Layer to Multi-Layer. The Net field is used to define which net this pad is to connect to. Pads automatically connect to any internal power planes that are assigned to the same net. The pad will connect to the plane in accordance with the applicable Power Plane Connect Style design rule. If you do not want a pad to connect to power planes, add another Power Plane Connect Style design rule targeting the required pads, with a connection style of No Connect. Pads connect to polygon pours in accordance with the applicable Polygon Connect Style design rule. If it is not physically possible (or desirable) to implement all connections as routing, for example on a single-sided PCB, then jumpers can be used. Within a component footprint, label the pads that are to be connected by a jumper with the same, non-zero, Jumper ID value. Pads that share the same Jumper ID and Net name tell the system that these pins will be connected by a physical jumper during PCB assembly, if that component also has a Type of Jumper. Jumper connections are shown as curved connection lines in the PCB editor. 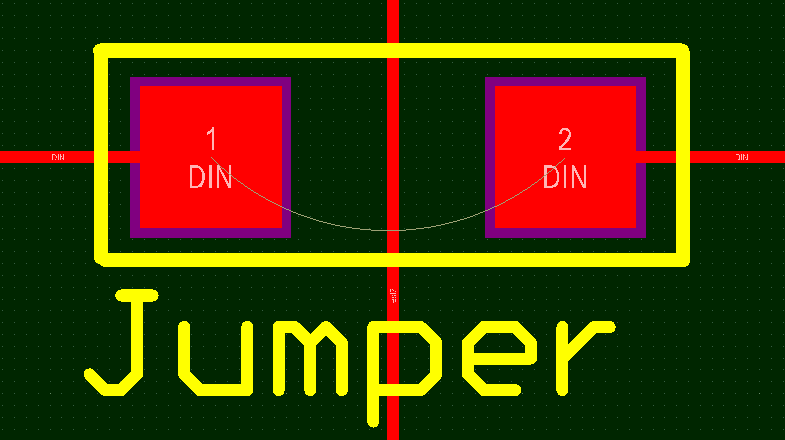 The Design Rules Checker will not report jumper connections as unrouted nets. Wire-link style jumpers can be defined by setting matching JumperID values in both pads. An opening in the paste and solder mask is automatically created by the software, the same shape as the pad. This opening can be larger (a positive expansion value) or smaller (a negative expansion value) than the pad itself, as defined by the Mask Expansion settings. Typically paste mask openings are smaller than the pad, while solder mask openings are larger than the pad, but there are exceptions to this. The default is for the pad to use the Expansion value from rules (the Paste Mask Expansion rule and the Solder Mask Expansion rule), this can be overridden and local values defined directly in the Pad dialog, if required. The term tenting means to close off. If a tenting option is enabled then the settings in the applicable Solder Mask Expansion design rule will be overridden, resulting in no opening in the solder mask on that solder mask layer for this pad. When this option is enabled, the Expansion value from rules and the Specify expansion value options are ignored. Paste and Solder mask layers are shown in the negative, that is, when you see an object on one of those layers it is actually a hole or opening in that layer. 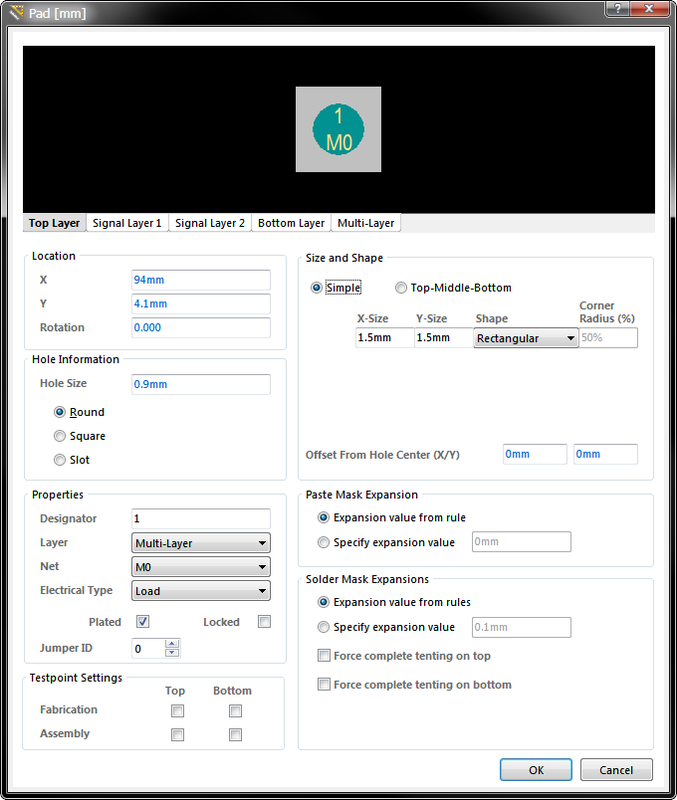 If your component needs paste or soldermask shapes that are different from the pad shape, then you can place design objects, such as fills, regions, tracks or arcs, directly onto the top solder or paste mask layer in the library editor, to create the required shape.